On June 21, we celebrate the dads in our lives. HYD's gift guide gives you a head start on your hunt for the perfect thing. Some finds are local, some regional, others just straight from the heart. Let us know if you've got any to add to our list! 1. The Traveler Mug by Go Forth Goods is one of our favorite handmade gifts for dad this year. Great for a mason jar full of coffee or sweet tea on the go! 2. A vintage-inspired, super soft T-shirt from Nothing Too Fancy located near Knoxville's Market Square on Union Ave. They have an amazing selection of T-shirts with all kind of Tennessee goodness. 3. Give dad a basket full of his favorite treats while you let him eat it guilt-free! HYD recommends checking out Mast General Store on Gay St. for a selection that never ends. 4. My husband's favorite accessory, his Patagonia Tech Web Belt. This guy is multi-purpose keeping dad looking handsome, his pants up and opening a bottle if the need arises. Find it in Knoxville at River Sports Outfitters or Uncle Lem's Outfitters. 5. Wildsam Field Guides not only navigate you through a city but tell the story of the place as well. Part documentary, part map, part oral history, these guides give the dad in your life just the adventure he's been looking for. 6. A gift card to one of these fine coffee establishments is great way to thank dad & to get his engine revving in the morning. Find them at Old City Java, KBrew, or Remedy Coffee. It's been a couple of weeks since HYD's first ever pop-up market & we are still a little high from the experience. Caroline & I were overwhelmed by the positive response from our shoppers as well as our vendors. The community support from our Knoxville family was tremendous. We are excited to say that with our 10% of profits from the sale, HYD & the vendors donated over $200 to Habitat for Humanity of Knoxville. 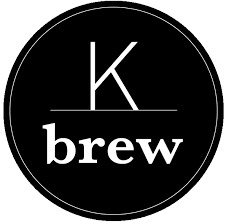 HYD would also like to thank KBrew for providing their delicious coffee to our guests throughout the day. Lastly, we wanted to show off some of the shots of the day that our dear friend, Katie Norrell took. HYD was overjoyed to watch all the hugs, compliments & conversations throughout the day of the market. We are looking forward to the next one, whenever it "pops-up!" If you didn't make it out and are interested in purchasing any of these fine goods, let us know and we will get you in touch with the maker. We had over 200 people come through our market and our vendors sold over $2,000 worth of goods. We had a blast seeing old friends and making new ones. If you took pictures at the market we would love to see them.